The rules are very simple ! you can choose color and size! The giveaway will last until March 05 2012. So cool! I've always wanted to have I <3 NY shirt! Lovely t-shirts :) I'm not in, sorry! 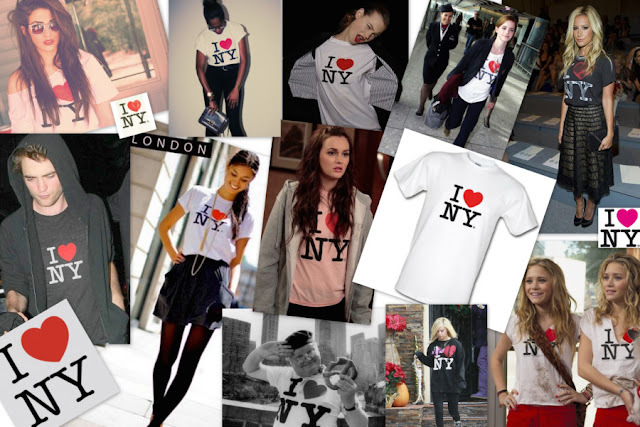 I like I love New York T-Shirts on Facebook! Thanks for this great giveaway! I hope I win!! Thanks for stopping by and commenting! You have an amazing blog, dear, and I'm following you. Done! I was already following you! Ich folge Dich schon und auch in Facebook. Lovely giveway! I like so much this t-shirt! I hope I win! Would love to follow eachothers blog!! Wish you a great start in the new week.. I ♥ shirts! Hope i could get one (I♥NY).